Mt. Washington Cemetery is located in the heart of Mt. Washington, in the eastern suburbs of Cincinnati, Ohio. The main entrance is at 2030 Sutton Avenue. There are over 6000 burials recorded in the cemetery, dating from the early 1800s. Who is legally responsible for maintaining markers at Mt. Washington Cemetery? Show me your burial grounds and I’ll show you a measure of the civility of a community. Click here for PDFs of original records preserved on MicroFilm by our benefactor, Marjorie Frame and the Hamilton County Chapter, Ohio Genealogical Society. We are now accepting reservations for our Ash Grove Columbarium. These niches hold the cremated remains in an above ground beautiful location overlooking the cemetery and are available in single or dual niches, for $1000 per urn. The site is where a huge 175 year old Ash Tree was removed in 2015. This tree saw the growth and lives of all Mt. Washington residents since 1840, when it sprouted. We felt the tree should be memorialized in this manner. Contact us at 513-484-9729 or click here for ordering information. * Although the cemetery was not founded til the 1860’s, many burials were moved here from other cemeteries. Read Julie Rimer’s fascinating stories regarding the history of Mt. Washington Cemetery. 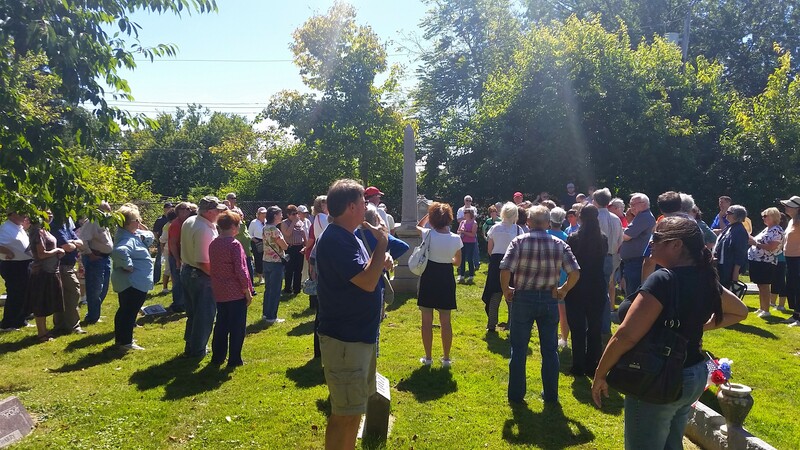 On Sunday, September 21, 2014 Julie Rimer and the Board of Trustees welcomed over 100 interested citizens to hear Julie talk about the Civil War Veterans and other historic figures buried in Mt. Washington Cemetery. The event was a fund raiser to help pay for the removal of the ash trees which had been decimated by the Emerald Ash Borer. Thanks to all who came and to those who made an extra donation! Watch for news about the 2015 tour coming in September! Report any unusual activity to the police or cemetery board. Volunteers are needed to improve the accuracy of our records. Email David Haldeman, Vice President of the Cemetery Association at mtwashingtoncemetery@gmail.com if you have a computer with internet access, minimal computer skills and are data and detail oriented. Feel free to walk your dog, but be respectful of the graves of our predecessors! On Sunday, May 1, 2011, Mt. Washington Cemetery inaugurated and dedicated its new Cenotaph Garden with a ceremony from the Sons of Union Veterans of the Civil War and Post 484, American Legion. Present were descendants of Isaac Hurley, whose grave is unmarked and in an unknown location within the cemetery. Here is a link to a video of the program. The Mt. Washington Cemetery Association (a volunteer non-profit organization) administers and cares for the cemetery. 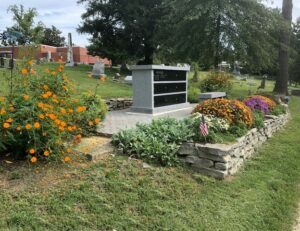 If you appreciate the natural beauty of the cemetery and would like to contribute time or money, please use our contacts page to let us know how you want to help.